There have been some concerns over recent letters from HMRC changing tax codes from the basic 747L to the new basic code, 810L. This change is absolutely ok and reflects the change to the amount of income you can now earn before tax, £8105.00 per annum. The change is effective from 6th April 2012 and no action needs to be taken. 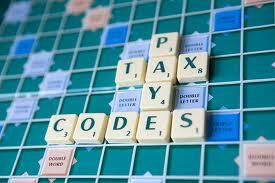 IF you get a tax code change significantly higher than 810L and would like some advice, as ever, give us a quick call.